Hunting? I'm not opposed to it, but spending long, cold, early hours out in the woods, that's not really my style. If it is your style though, click the pic. 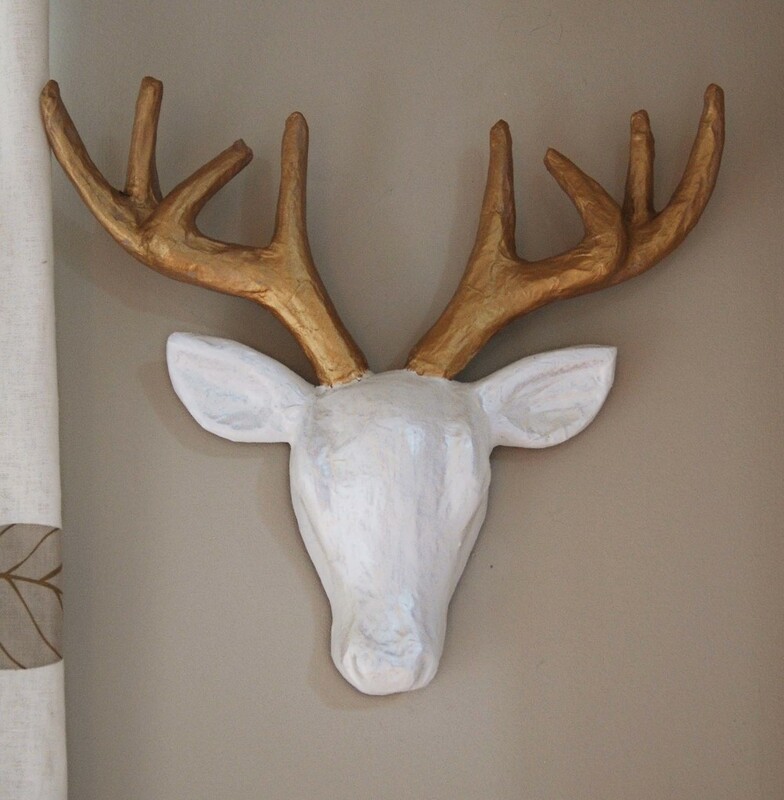 White Faux Taxidermy has some fun stuff! Spending $90 on one of those, oh-so-of-the-moment resin deer heads? I'm not opposed to it, but that's not really my style either. So when I accidentally stumbled upon this papier mache deer head in Michaels I knew my hunting days were over before I even realized they had begun! Paint over the white paint with a pearl metallic paint (I used Rust-o-leum Pearl Mist spray paint) This gives it that glossy resin look. Stay tuned to see how my deer likes to accessorize!